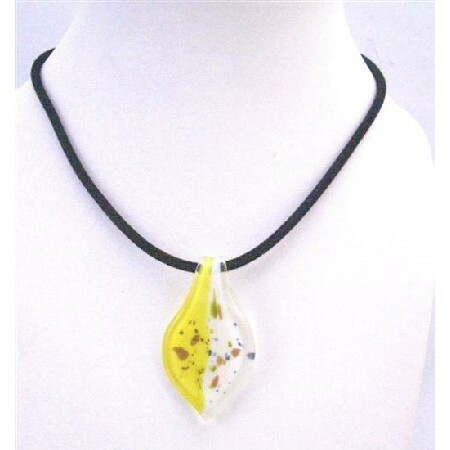 An exquisite choker which is consisting Hight & Superior Quality of Murano Glass Pendant Hand Painted Half Lemon & white with multicolr spread classic & dainty pendant accented in black chord choker. The most focal point of this Necklace is Leaf Murano Painted Pendant this is very popular gift for someone you love or special. Good shinning surface quality.